The US House of Representatives today passed legislation that would reform the nation’s laws pertaining to offshore oil and gas development and provide additional safeguards to protect and restore our nation’s marine and coastal communities and resources. World Wildlife Fund officials welcomed the bill as a much needed step to respond to the BP disaster in the Gulf of Mexico. The legislation, H.R. 3534, the Consolidated Land, Energy, and Aquatic Resources (CLEAR) Act of 2010, would restructure how the US approaches offshore oil and gas drilling in an effort to help prevent further catastrophes off America’s shores. It would also reinvest a portion of offshore oil and gas leasing revenue in the protection and restoration of ocean, coastal and land ecosystems through establishment of an oceans endowment and full funding for the Land and Water Conservation Fund. The bill, introduced by House Natural Resources Committee Chairman Nick Rahall (D-WV), passed the House by a vote of 209 to 193. Increased regulatory oversight and safety measures for offshore oil and gas development to prevent and minimize future disasters. Establishment of an Ocean Resources Conservation and Assistance Fund, which would redirect a portion of revenue from offshore oil and gas drilling to ocean protection and restoration, as well as research on how to avoid and respond to future disasters. Improved regional planning and coordination that would help minimize conflicts between new and emerging offshore activities, provide a stronger voice for the broad range of ocean user groups, and better protect the health and value of ocean and coastal ecosystems. Permanent, dedicated funding for the Land and Water Conservation Fund, a landmark conservation program that protects national parks, forests and wildlife areas. The fund, which is of particular importance to WWF’s Northern Great Plains program, has been consistently underfunded since it was established under President Johnson in 1964. 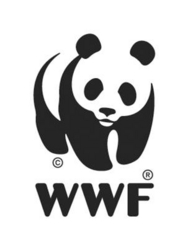 WWF is the world’s leading conservation organization, working in 100 countries for nearly half a century. With the support of almost 5 million members worldwide, WWF is dedicated to delivering science-based solutions to preserve the diversity and abundance of life on Earth, halt the degradation of the environment and combat climate change. Visit http://www.worldwildlife.org to learn more.